Let the crowds wait hours to eat one of the most sought-after burgers in America—you're going to Au Cheval's Bucktown spinoff, a casual cave with a giant communal table where you can chow down on its almost-identical twin. Two patties, a lake of molten American cheese and that perfect brioche bun are where it all begins; unlimited Sir Kensington's condiments and piles of terrific fries ($2.95) complete the picture. Small Cheval, 1732 N. Milwaukee Ave. In a perfect world, Au Cheval's burger-only spinoff would already be opening everywhere. So you've heard about the burger at Chicago's Au Cheval. Hailed more than once as the best in the country, people wait for hours (hours!) for a chance to eat the thing. They are right to do so. The Au Cheval burger is a well-constructed beast of a thing, automatically served up as a double on toasted, soft, brioche-style buns that make you feel sorry for people who have been brainwashed into liking those supermarket-basic potato rolls. Radiant, orange cheese pours from the sides, dijonaise too, there are pickles and a bit of onion, fried eggs and bacon are often added to the top. The reports are true, the hype continues to be real: This is one of the better burgers you will eat. Base price, at last check, was a reasonable $10.95. No wonder everyone wants in. You can wait, if you want. You don't have to. What a lot of people haven't figured out yet—visitors to Chicago, in particular—is that a couple of years back, Brendan Sodikoff, Au Cheval's creator, opened a opened Small Cheval, a little shack in Chicago's super-cool Bucktown neighborhood where you could go and get the burger, that burger, any time you wanted. Okay, so it's not exactly the same. More than a couple of side-by-side comparisons have been done to prove this. For one, Small Cheval's burger is just a little bit well, smaller, according to experiment conductors. The bacon is great, but it's different. There are no fried eggs on offer. Still, all of these very important studies eventually reached the same, logical conclusion: Not only is Small Cheval's burger close enough, it's really, really good. Truly, on Small Cheval's worst day, it's hard to think of a better-value burger in Chicago. The hamburger is $8.95. A cheeseburger is $9.95. Adding bacon costs $2, and that's really not necessary. Fries are some of the best in their class—$2.95 is a steal. As at Au Cheval, the burger automatically comes as a double, it is served up on those same buns. You can ask them to add lettuce and tomato if you want. (If you must.) Oh, and you get all the Sir Kensington's condiments you can handle, which is pretty great. Also there's garlic aioli, which makes an order of fries almost mandatory, just so you can eat a ton of the stuff. And that's pretty much it. 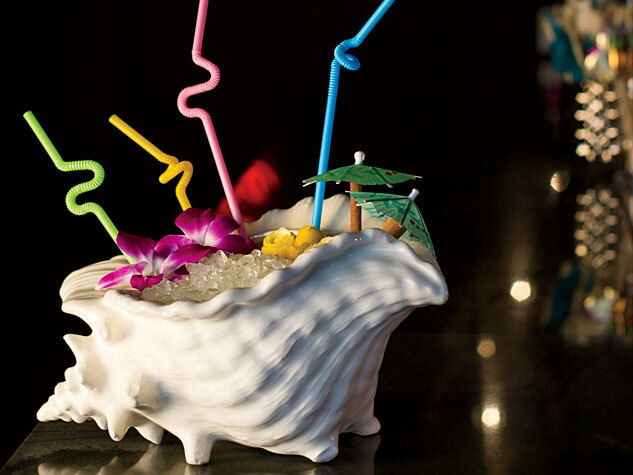 There are couple of milkshake options, and booze, too—beer, cocktails, even a shot of Malört, that dreadful, Swedish-American liquor that Chicagoans insist on drinking, possibly on an extended, city-wide dare that the rest of the world has not been told about. Finally, the place is open until midnight, every day except Sunday, when it closes at 10 p.m.
Not that Shake Shack is all that worried, surely—while Small Cheval's burgers deserve to go everywhere, Sodikoff's Hogsalt Hospitality restaurant group is just now getting around to opening more Chicago locations. One will be right downtown, where Randolph Street crosses the Chicago River; the other is going in the city's Old Town neighborhood. There's already a tiny Small Cheval counter, over at Sodikoff's 3 Greens Market food hall, over in River North, too. Today, Chicago. Tomorrow, the world? Hey—Even Shake Shack had to start somewhere.